Hillcrest Volunteer Fire Company #1 firefighter Derek Mehu is Captain of the Fire Rescue Squad. The Squad uses specialized equipment and knowledge to rescue trapped people or those individuals who are having medical emergencies. 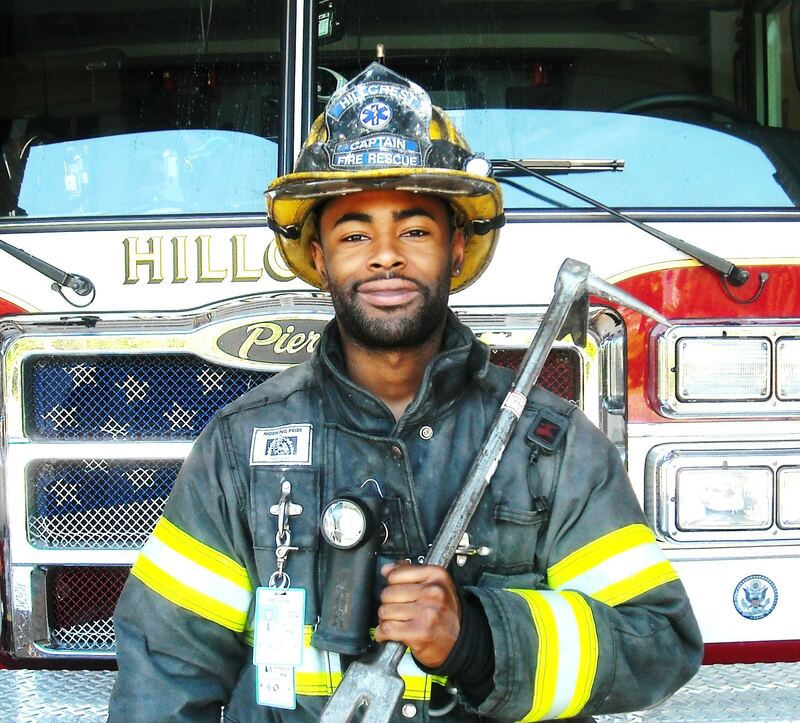 Firefighting is a tough job and volunteer firefighter Derek Mehu possesses the talents, skills and special personal characteristics that are required to rescue trapped people and those individuals having medical emergencies. A Fire Rescue Squad uses specialized equipment and knowledge to rescue trapped people or those who are having medical emergencies. In addition, non-fire rescues include motor vehicle accidents, construction accidents or home collapses. Also, the Firefighter Assist and Rescue Team (F.A.S.T.) is dedicated to the search and rescue of other firefighters in distress.